Phase one of the Kansas City Chiefs offseason program got underway on Monday with meetings, strength and conditioning and physical rehabilitation. And on the first day... media appearances, too. Chiefs tight end Travis Kelce took to the podium and talked about the ankle surgery he underwent about six weeks ago. 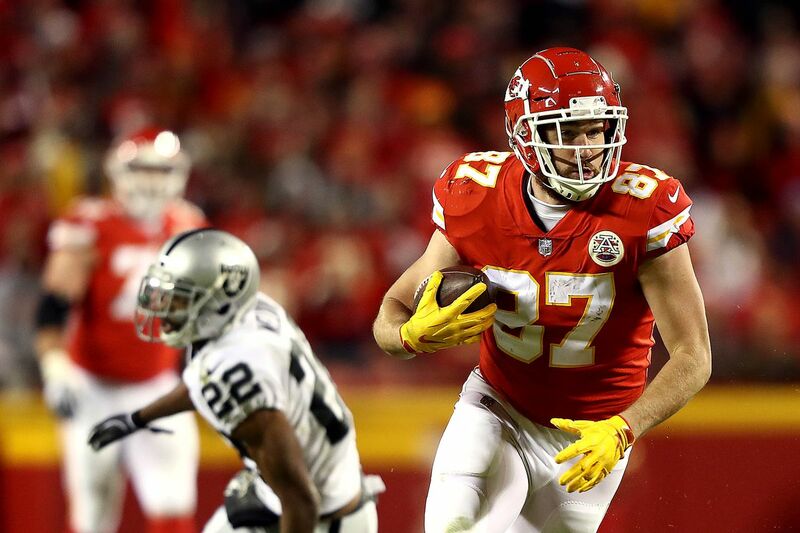 When we first learned of the surgery, the best information was that Kelce would likely miss Chiefs offseason activities, but would be ready for training camp in July. Asked when he thought he’d be back to 100%, Kelce said he didn’t know. Still, Kelce said he was anxious to get back to the routine. The Chiefs tight end also said the conclusion of last season was a disappointment, but he remains confident. For Kelce — who at first was a little reluctant to shift his allegiance from former Chiefs quarterback Alex Smith, whom he still describes as one of his “all-time favorite teammates” — it’s now all about his starting quarterback Patrick Mahomes. Kelce was with Mahomes during the Texas Tech Red Raiders’ Final Four run at the NCAA men’s basketball tournament and said he enjoys being out in public with his quarterback. And although he said that he and his teammates will miss backup tight end Demetrius Harris — who departed for the Cleveland Browns during free agency — he’s excited to play with new Chiefs tight end Blake Bell. Arrowheadlines: Chiefs to face “toughest opposing defenses” in NFL in 2019 Chiefs headlines for Thursday, April 18. Letter shows NFL sought information on Tyreek Hill, according to a new report A new report in the Kansas City Star — and a report from Fox4 — brings new information to the story. Dixon’s AP mailbag: Frank Clark, replacing sacks, trading up and tailgating Let’s see what our readers want to know this week. Rapid reaction: six takeaways from Brett Veach’s pre-draft press conference The Chiefs general manager addressed the media one last time before the NFL Draft. This Article has a component height of 16. The sidebar size is long.